WINONA, Minn. — Winona claims the No. 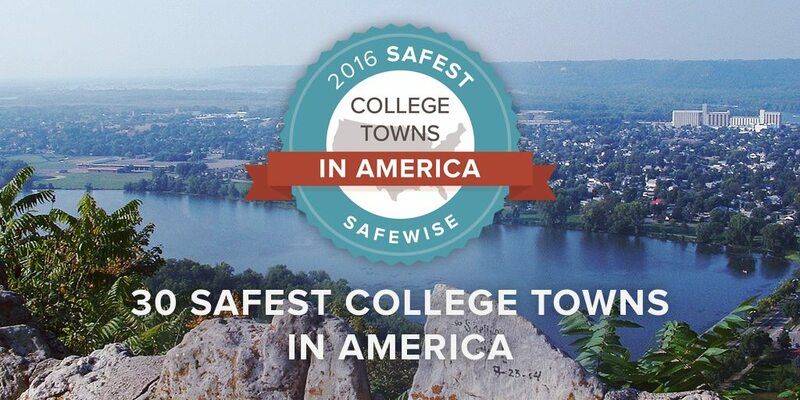 1 spot on SafeWise’s 2016 “ 30 Safest College Towns in America.” Winona is home to three higher-education institutions, including Saint Mary’s University of Minnesota. Winona was also named No. 18 on SafeWise’s 2016 “ 100 Safest Cities in America” list. SafeWise security experts based their rankings on the most recent FBI crime statistics and also identified safety-related programs and initiatives in college cities across the country. Winona was noted for its low crime rates and community involvement in crime prevention and awareness. The town was also recognized for its commitment to the health and wellness of its community members through various programming, and its colleges have been noted for their proactive efforts to keep students safe.